Our advisors have put together a huge guide explaining what you need to know about a first-time buyer mortgage. It’s difficult to answer every single question, as situations for first-time buyers are generally unique. We’ve broken down each individual part of being a first-time buyer and tried to explain each step in as much detail as possible. If you think there’s something we’ve missed, we’ve got expert mortgage advisors on hand to help you immediately. Should you buy your own property? Getting on the property ladder is highly recommended. Whether it’s a suitable proposition for you to buy your first property or not, entirely depends on the individual. We’d highly recommend you to seek expert financial advice before doing so. Nonetheless, we’ve outlined the pros and cons of being a first-time buyer below. Important: This page is for first-time buyer residential mortgages. If you’re a first-time buyer who wants a buy to let mortgage, please click on the link below. Learn more: Buy to let mortgages for first-time buyers. There are many advantages to buying your own property. A few major advantages are listed below. Own your own house! – It goes without saying, having your own place to call home is something the majority of the population aspires to do. Say goodbye to relying on a landlord and be the boss of your own house. Investment – Each mortgage payment is paying towards owning the house outright and instead isn’t going on rent. Once the mortgage is paid off you’ll own the house outright and the chances are you’ll have some equity saved up in the property. Freedom – You can make your own adjustments and renovations to your property without asking the landlord’s permission. You can design your home to be just the way you want it to be. Credit rating – Your credit rating will get better as each year goes by as mortgage payments are made on time. This is because consistent payments show lenders and financial institutions that you’re financially in control. There aren’t really any disadvantages to getting on the housing ladder, but there are certainly a few things to consider before making the leap. Deposit – You will need a deposit in order to purchase a property. Usually higher deposits enable better mortgage rates and sometimes this can be difficult for first-time buyers. It’s a lot of money all in one go and is something that needs careful consideration. Risk – There are risks involved in owning your own home. If your home falls in value, this could put you in negative equity, where your house is worth less than the outstanding mortgage. Mortgage companies tend to be less flexible than landlords. If you miss your mortgage payments, you could be repossessed and lose your home as a result. A very large majority of first-time buyers will purchase a home through a mortgage. A mortgage is simply a loan used to purchase a property. Although you may already be familiar with this, let’s take a look at the basics of understanding exactly what a mortgage is. A mortgage is a loan borrowed from a lender. The loan is usually paid back every month, over a certain period of time. The length of the mortgage is determined by your mortgage duration, which on average is between 25 and 35 years. The mortgage amount that you may be approved for is generally based on your income and expenditure. Having a good credit score can also improve what lenders are prepared to offer you. You’ll generally need your own deposit, in addition to a mortgage to secure a property. The higher your deposit is, the better rate your mortgage will tend to be. This is because your loan amount decreases, as your deposit is increased. The mortgage is then secured on the home you’ve purchased as a legal charge, providing security for the lender. For this reason, your home may be repossessed if you do not keep up payments on your mortgage. Before you begin to apply for a first-time buyer mortgage, it’s important to understand the budgets that you’re able to afford and comfortable with. We’ve listed the three main points that generally determine the price range of properties you may be eligible for. What’s also important is your mortgage term. For example, if you’re borrowing £100,000 over 15 years and the monthly repayment cost is £1000, but your budget is only £500 per month, then extending your mortgage term to 30 years would suit your budget. To begin with, mortgages are generally either one of two kinds. A fixed rate mortgage or a tracker (variable) rate mortgage. Once the initial term is over, mortgages usually revert to a variable rate. Below is a detailed summary of each type of mortgage. Fixed rate mortgages are where your mortgage rate is fixed, meaning your monthly mortgage payments will also be fixed. Fixed rates may only be fixed for a certain period of time, for example you may have a 2% rate that’s fixed for five years. This means for five years you will pay the fixed rate of 2%, regardless of whether the Bank of England base rate goes up or down. Once the five-year term is over, your rate will either change or remain the same, depending on your mortgage arrangement. Lenders usually have their own variable rates, which mortgages revert to once the initial term is over. Fixed rate mortgages offer more certainty, as you know exactly what you’ll be paying throughout the duration of your mortgage term and won’t be affected by any changes made by the Bank of England. It’s important to remember that some lenders may apply an early repayment charge (ERC) if you wish to change your deal whilst you’re still in your fixed term. What are tracker rate mortgages? Tracker rate mortgages are where your mortgage rates follow the Bank of England base interest rate. This means your rate could either increase or decrease, depending on what the Bank of England interest rate does. In more recent times, as the interest rate is very low, tracker rates are normally in addition to the Bank of England base rate and an additional base rate which varies on different mortgage products. Some lenders have their own standard variable rates (SVR), which your tracker may follow instead of the Bank of England base rate. These tend to be the riskiest types of mortgages, as each rate differs depending on the lender and could change at any time. Tracker rates have more uncertainty attached, as your mortgage could go up or down at any point. If you’re a first-time buyer, chances are you’ll only be able to get a repayment mortgage. Interest only mortgages for residential purchases are very scarce and are more or less extinct, for reasons explained below. If you’re a first-time buyer, you’ll most likely be taking a repayment mortgage. This means your monthly mortgage payments will be paying both the interest of your loan, along with the actual repayment for the purchase of the property. Once your mortgage term is over and you’ve made every single payment, congratulations, you own your house completely outright! Interest only mortgages are very popular with buy to let landlords, as only the interest is paid back. No payments are actually made towards the repayment of the property, so at the end of the term, the house isn’t owned outright by the landlord. Towards the end of the term, landlords will usually sell the property to pay back the capital outstanding on the loan. Interest only used to be offered on residential purchases and for first-time buyers, however it’s become extremely rare for lenders to offer interest-only rates on a residential purchase. The government has been encouraging first-time buyers to get on the property ladder especially in recent times. Because of this, there are Government schemes available to help first-time buyers. By using the Help to Buy scheme, first-time buyers only need a 5% deposit to buy a property (new build unless shared ownership). So if the house is worth £200,000, you’ll only need a £10,000 deposit! There are variations of the Help to Buy scheme (Help to Buy Equity Loan and Help to Buy ISA Loan). They’re also interest-free for 5 years! Right to Buy schemes are aimed at people who have been renting a council house for a number of years. Such properties are usually offered for sale with a discount, which can in turn be used for the deposit of the house. For instance, if the house is worth £100,000, the council may offer you a discount of £15,000, enabling you to purchase it at £85,000. Not only that, but it also enables you to take a 100% mortgage for the full amount. Yes, that’s right, buy the property with no deposit! Do bear in mind that the council will tie you into a 5 year contract which stops you from selling or borrowing against the equity. This is exactly what it says – the ownership is shared. It isn’t exactly a government scheme, however it is a way to get on the property ladder. This is popular with first time buyers in situations where you might have a small deposit and don’t fit the criteria for other schemes. Shared ownership is where you buy a property for a percentage of the property value and pay rent on the remainder to either a housing association or developer. If the house you purchase is 50% shared ownership, you will own a 50% mortgage and pay the remaining 50% in rent to the other shareholder. The remaining shareholder would usually be just a shareholder and not a resident of the property, so you aren’t sharing the house, just the ownership cost. There’s also shared equity mortgages which work exactly the same way, however instead of paying rent for the remainder, the buyer would take out a low rate equity loan with the developer or housing association, which is paid back over the term. There are schemes to help government workers such as armed forces, teachers, doctors and other professionals. Lenders recognise professionals in certain industries as low risk and therefore are able to offer exclusive deals to them. Read about professional mortgages here. There’s also a Ministry of Defence scheme which is a help to buy specifically for armed forces. The MOD will lend those in the armed forces up to 50% of their salary (to a maximum of £25,000). This is to contribute towards a deposit, helping a first-time buyer in the armed forces. Furthermore, the loan is interest-free and is repayable within ten years (which is usually done through salaries). Learn more: Government mortgage schemes explained. It’s common for first-time buyers to jointly buy a property with somebody else. This could be for a number of reasons, such as raising a higher deposit but to name a few. Let’s see how the different structures work. A guarantor mortgage is where a parent or family member helps with funding part or the entirety of the deposit. A gifted deposit doesn’t mean that your guarantor also owns part of the property, it’s simply a gift, hence the term ‘gifted deposit’. Even if you’ve managed to raise your own deposit, the main purpose of your guarantor is to provide security to the lender. Guarantors agree to be liable for any debt amount they agree to guarantee. Since the debt amount could be as much as the total mortgage, guarantors should always seek independent legal and financial advice before entering into a guarantor mortgage. Tenants in common is a term referred to where you own your property with at least one other person. This is similar to a shareholding in a property, so the shares are not always evenly split (although they often are). The main point of having this structure is that if you die, your share doesn’t automatically go to the other owners of the property and you can leave your share to someone else in your will. Joint tenants is a term referred to where you would own the property with at least one other person. Rather than owning shares in the property, you would all equally own the property and in the event of death, the share would be left to the remaining owners. You’re also unable to pass your share on in your will to someone who isn’t already a joint tenant. Read more about joint mortgages here. Yes, you will need a deposit. 100% mortgages are practically extinct, unless using a guarantor mortgage, which is explained further below. Some lenders will take a 5% deposit, especially in regards to government schemes. Lenders will generally offer preferential rates to those with higher deposits. The very best rates appear when first time buyers have a 25% deposit or more, which of course means your monthly repayments will be a lot lower than if you had a 5% deposit for example. It really is worth saving as much of a deposit as you can, as it really does have huge advantages. If you do have a small deposit, read our article on mortgages with low deposits here. There are many factors that lenders take into consideration when assessing how much they’ll lend on a first-time buyer mortgage. Furthermore, each lender will have different criteria, this is why it’s invaluable having a mortgage advisor who can target the exact lender tailored to what you need. Traditionally lenders would calculate the amount first-time buyers could borrow by multiplying the borrower’s gross annual salary. Lenders would do this by lending around three to five times the borrower’s gross annual salary. Some lenders still use this to guide them as part of their qualifying criteria but will use other criteria to assess how much they can lend to applicants. Lenders tend to now focus more on affordability. Lenders assess affordability depending on your income and expenditure. The reason lenders have adopted this approach, is because someone may have an annual salary of £50,000 but have outgoings of £40,000. Someone else may earn £30,000 but have outgoings of £10,000 a year. This is why gross annual salary isn’t the only factor involved in assessing a mortgage. Often applicants will have car finance and other loans they’re paying off, which most lenders will take into consideration when deciding your maximum borrowing potential. In addition, lenders will generally take your credit score into consideration. This is because your credit report shows if you’ve been responsible with credit in the past. A strong credit score can fill the lender with confidence, as it’s evident you’re in control of your finances. There are ways to help improve your credit score which you can find below. A bad credit score will do the opposite, but there are specialist lenders that may still lend if you have bad credit. Learn more: Mortgages with bad credit. For an exact amount of how much you can borrow, you can call us on 0800 195 0490 or request a call back from an expert mortgage advisor. A great credit score will always be at your advantage. Here are a few ways to improve your credit score. You can find a more detailed and in-depth guide here – improve my credit score. The three main credit experts are Experian, Equifax and Call Credit. You can visit any site for your own individual credit report (fees may apply). This will give you an idea of whether your credit score needs improvement or not. You can also check for any errors or mistakes before applying for a mortgage. Make sure you’re registered to vote. Being on the electoral roll helps to prove your residence which in turn strengthens your credit rating. Sites such as www.yourvotematters.co.uk can help if you’re not already registered. Make sure your bank accounts are tidy. You should have no credit cards that are unused or accounts that are completely inactive. Also be sure to have your active accounts all relating to one address. By actively making payments on time, your credit rating improves. This is because it shows that you’re financially responsible. If you are struggling to make payments such as bills, contact the relevant companies you’re struggling with to make different payment arrangements (if possible). Saving your money is very important if you aim to be financially responsible. Sometimes life can take an unexpected turn and having money aside for a rainy day is a smart move to make. This can help to ensure that your payments are made on time, despite what life throws at you. It’s important to understand that there will be fees related to buying a property. So you’ll need more than just your deposit. The last thing you want is to put all your eggs in one basket, only to realise there are additional fees for which you don’t have funds for. Some lenders will have mortgage fees in addition to the actual mortgage itself. This could be in the form of an arrangement fee or a booking fee. Other lenders may charge for additional services such as the mortgage survey. Some mortgage brokers will also charge a fee for their service. When buying a property, it’s not just a mortgage you’ll need. Anyone purchasing a property will always need a solicitor or conveyancer to handle the transfer of the deeds from the vendor (property seller) to the buyer, along with carrying out due diligence on your purchase. The solicitor you use is entirely up to you. Solicitors do vary in terms of how much they charge for their services. For this reason, it’s advised to get at least three quotes before choosing. You may also incur fees during your first-time buyer mortgage. For instance, if you make mortgage payments late, there may be late charges depending on your mortgage product. Even if you change your mortgage term or make overpayments each month, most lenders charge additional fees for making amendments midterm. Make sure you’re aware of all fees at the start of your mortgage and before making any decisions during your mortgage. First-time buyers no longer need to pay stamp duty on property prices up to £300,000 but will need to pay the standard 5% on anything over £300,000. As an example, if the property is worth £400,000, first-time buyers will be exempt from the first £300,000 but will need to pay 5% on the remaining £100,000. This would equate to £5000 stamp duty. You’ll be required to take out buildings insurance which is usually the bare minimum your lender will make mandatory. There are other insurances which are optional such as contents insurance, which would cover your personal belongings from theft or damage (depending on the insurance policy). Then of course there are other insurances such as life cover, critical illness cover, income protection and sickness & accident cover. Insurances such as these are highly recommended as life can be unexpected at times and can really help you should you face difficult times. There’s then the cost of furnishing your home once you’ve moved in! Outgoings at this point can quickly add up, so be sure to plan and budget your move with additional fees and costs in mind. Once you’ve considered all of the above and feel that you’re in the right financial position to apply for a first-time buyer mortgage, it’s time to get started. Speak to your bank or opt to use a mortgage broker. Experienced mortgage advisors are worth their weight in gold and can save you a lot of money along the way. Expert advisors may also have access to exclusive deals that high street banks simply can’t offer. 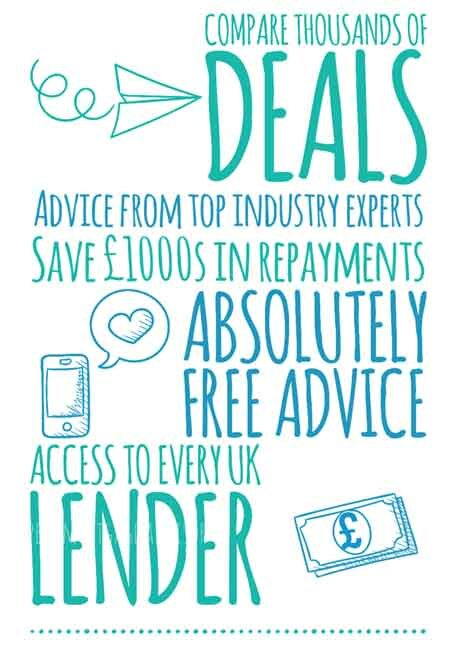 Our experienced expert mortgage advisors are only a phone call away to offer you fee free advice. You can also ask our advisors a question by filling out our quick form. We’d highly recommend getting a DIP or AIP (Decision in Principle or Agreement in Principle) when you’re starting your first-time buyer journey. An AIP and DIP are exactly the same thing and just use different terms. A decision in principle is not a mortgage offer. A DIP outlines what a lender is likely to lend you, based on your information provided. In order to get a DIP, you will undergo a credit check and they’re usually valid for 90 days. Before you seriously start viewing properties to buy, it’s advised to get a DIP. This is because a lot of estate agents will ask for this when you’re submitting an offer. If there’s a highly sought after property and you don’t have your DIP to hand, estate agents are more likely to accept offers from people that already have a DIP in place. A decision in principle is usually free, however you only need one DIP. Please refrain from getting multiple DIPs as this can have a negative impact on your credit score. Learn more about how to get a decision in principle here. Once you’ve had an offer accepted on a property, inform your mortgage broker who will then formally apply for a mortgage that you’re happy with. A mortgage survey is then carried out by a surveyor who is appointed by the lender. The lender arranges the survey directly with the estate agent. The reason your lender will arrange a survey is because they want to ensure that they’re lending the right amount on a suitable property. You’re also able to instruct your own independent surveyor if you feel like you need more security in knowing that you’re not purchasing a property with hidden faults. You can find out more about the different surveys available by reading – What survey should I get? Once the lender is satisfied with the survey and your personal financial assessment, they will provide you with a formal mortgage offer to buy your property. The next stage is to instruct your solicitors to legally represent you in the purchase. 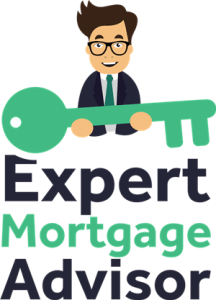 Our expert mortgage advisors have helped many people in getting their first-time buyer mortgage secured. We’ll talk you through everything you’re uncertain of and if you qualify, ensure you get the perfect mortgage suited to exactly what you need. You can call us on 0800 195 0490 or you can fill in our form, either requesting a callback or ask one of our expert advisors a question.